What's the cool new thing in the NBA this year? Taking a week off. D-Wade did it last week; Dirk's gonna do it this week. In a season where training camp lasted, like, a weekend, there's bound to be conditioning and injury issues, and how teams play without star players is going to go a long way toward determining playoff seeding. If you're a fan of the Bulls, Grizz, or Heat, you've got to like the way your team has handled injuries. Speaking of liking teams, it seems the Nuggets like their 'Melo-less squad just fine, thank you very much. And how are the 'Melo-full Knicks doing? THE GIANTS ARE GOING TO THE SUPER BOWL. There's one more football game left this season, so it's time to jump into this interesting NBA year in earnest. 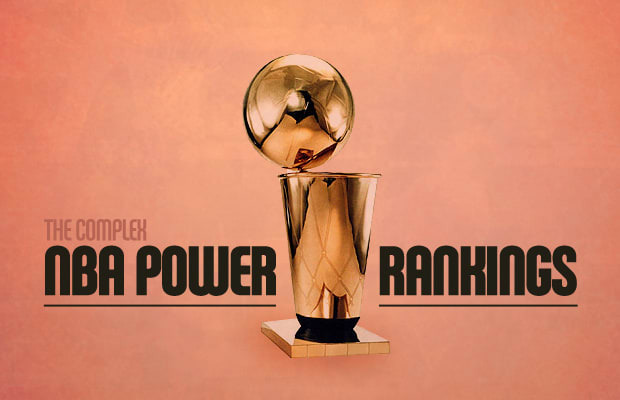 See where everybody stands with the Complex NBA Power Rankings.